American University Washington College of Law 4300 Nebraska Avenue, NW, Washington D.C.
Boris Steffen, Sr. 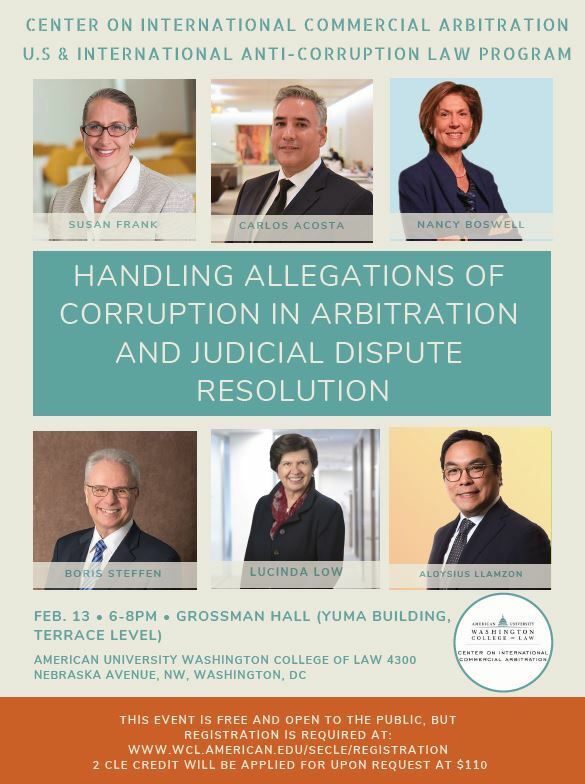 Managing Director, is speaking on a panel at the Center on International Commercial Arbitration's U.S. and International Anti-Corruption Law Program on February 13th. Beginning at 6:00 PM, the session will delve into allegations of corruption in arbitration and judicial dispute resolution. The event lasts two hours and will be held at American University Washington College of Law. More details for registration coming soon.